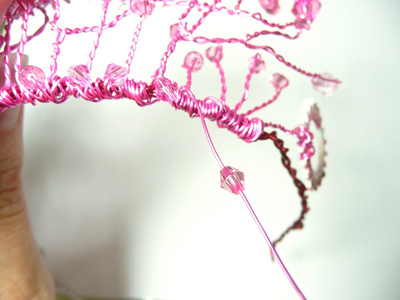 SteamPINK Tiara - Steampunk with a Pink Twist! 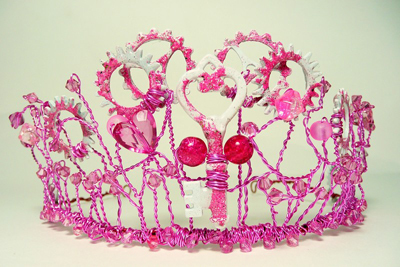 A how-to tutorial that you can apply to ANY style of tiara! Why not have a try- the sky is the limit for these- how about a Nouveau design with dragonflies and lilypads, a flower meadow, a Steampunk design or a bridal tiara with pearls and sparklies? 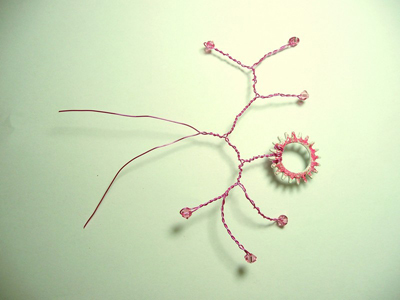 You could easily make a crown or coronet by using a bought base or making a circular wire twisted one yourself. You can be as neat and precise or as rustic and organic as you please. Be as exuberant and extravangant or minimal as you like ! 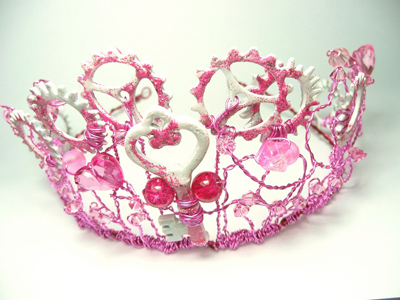 Let's see some "kitchen-sinkers " tiaras ! 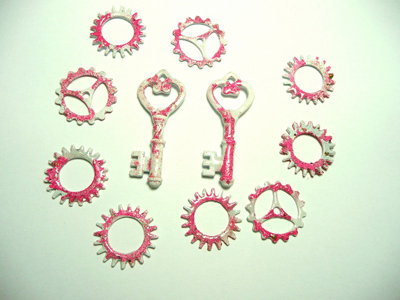 I used Iced enamels to change my cogs, gears and keys from brass to pink and white . I will quickly reprise her technique here but do watch the video for an in -depth guide. Firstly wash items in hot soapy water to remove any grease or fingerprints which would repel paint. 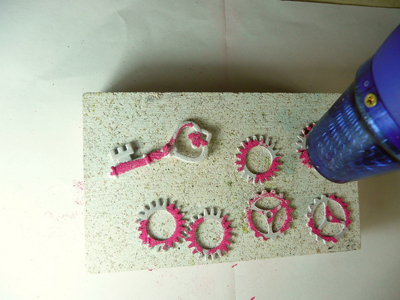 Lightly sand down to give spray paint base some "key" to grip to. 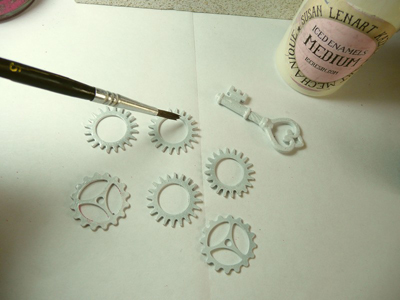 Spray several light coats of white paint and allow to dry. Apply using a paint brush a thin coat of medium where you wish to add the iced enamels, sprinkle the powder over the area. Tap to remove excess - it will blow away anyway with the heat gun but shame to waste it, if you place on a folded sheet of paper underneath you can tip any superfluous powder back into the pot. Heat slowly and gently using a heat gun,until the powder melts - if it bubbles up move the heat away. 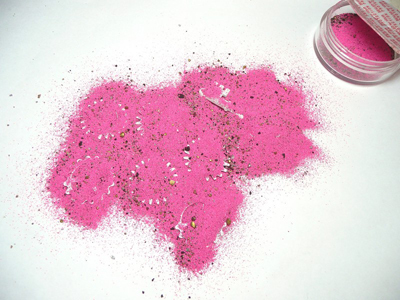 Add as much iced enamels powder as you wish in layers. Seal using ICE resin painted on with a brush and allow to dry. To make the tiara base- if you have a bought one you can skip this step. Cut a 30" length of 18 gauge wire, double it over around the fattest part of the plier jaw on round nose pliers to form a loop and start to twist. 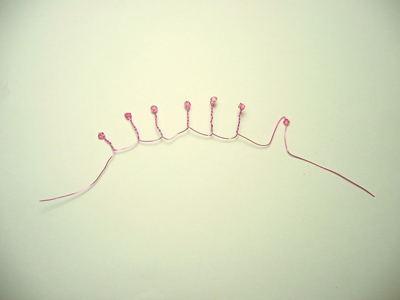 Continue until the length is all twisted together and make a wrapped loop with the wire end. 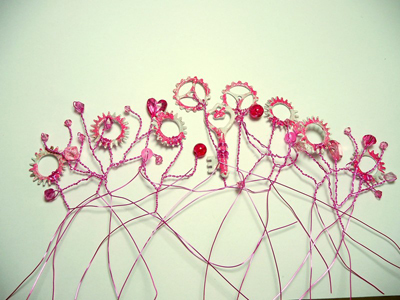 The loops are to enable the tiara to be pinned to the hair with hair grips. Form it around a round tin or similar object to make a "U" shape. 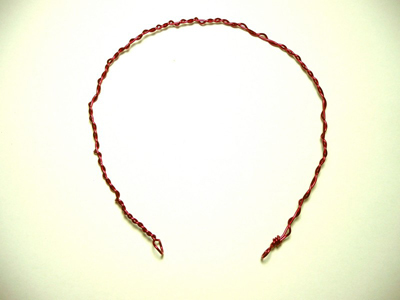 For branches with more than one bead cut 30" length of 24 gauge wire , for single ones 16" is sufficient. Fold the wire in half and thread on a cog , these are nice and easy to wire securely as they have ready -made anchor points in between each cog spike. Wrap the wire several times and round the cog in opposite directions and loop back until the wires meet and twist together. Continue to twist until desired length stalk is reached and remember to leave two wire tails -these will sit over the tiara base wire . Carry on and make as many stalks/branches as you wish, the principle is the same for each. 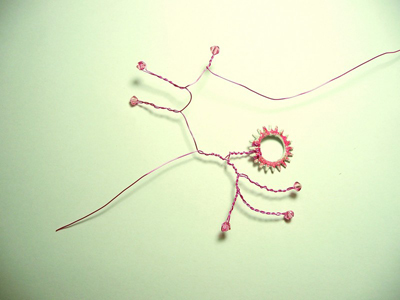 To make those with several beads, once one is added fold one wire tail in half again and add another bead and twist, this can be repeated to add several beads to each stalk. It sounds complicated but really is just twisting the beads onto the wire. If a gap forms at the top under the bead pinch it with chain nosed pliers to close. 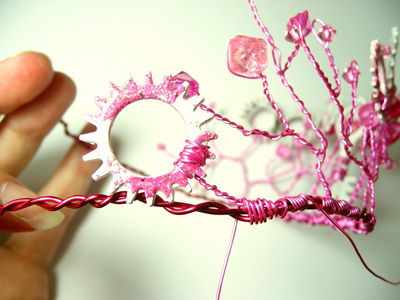 Arrange the branches in the order you wish them to lay on the tiara, this means you can plan your design before attaching them ! Begin with the central stalk ,in this case a key, sit it astride the tiara base wire with one wire tail on each side, wrap around the base wire in opposite directions until the upright is secure it should not flop over. Cut any excess wire and tuck ends in neatly on reverse. Repeat to attach each upright, do not worry too much at this stage about bending them into shape. The very end branch - one cog -is attached to lie sideways , simply wire the stalk to the base flat. Once all your branches are attached you can make a section to fill in the gaps along the base in between each upright. 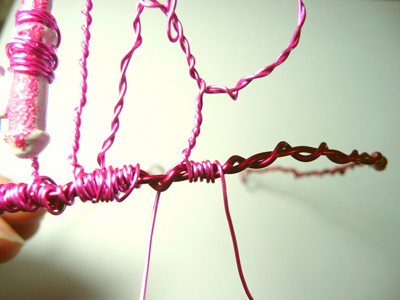 take a 30" length of 24 gauge wire and make a series of short "stems " with one bead on each, space them a thumbs width apart, you may need to make 3 or 4 sections to fill in the whole base. Sit over the base wire as before and wrap a few coils to attach them, then continue to wrap along , making a couple of wraps to secure each upright stem. Again this sounds awfully complicated in writing but is simple in practise. When you have filled all the gaps then trim excess wire and tuck ends in as before. Finally cut another long length , 30" of 24 gauge wire and make several wraps at one end of base to secure, add a bead and wrap twice and then the next bead , work your way along the base like this making sure the beads sit at the front of the tiara. Cut and tuck at other end. Now you can arrange the branches prettily, try not to adjust TOO much as wire especially thinner gauges will become brittle and may eventually snap. Linzi Alford IS the Magpie in MagPie In The Sky Designer Jewellery in the UK. A penchant for glittery pretty things has led her to become a jewellery maker. Lucky enough to live in a beautiful part of England -the Lake District - and is Mum to 3 (and Mimi the cat!) She trained in Silversmithing at Evening classes a few years ago and is a regular attendee at the local Artisan Collective Roaming Gallery . Linzi has been published in Uk magazine "Making Jewellery" regularly. Photography is also a passion and she likes to incorporate her love of this with her jewellery collections using her photos as part of the creations.